Barcelona is a city of art, architecture, history and culture. As the capital of Catalonia, the 2,000-year-old city is a mecca for artists, foodies, business and leisure travelers. Named the fourth most creative city in the world, Barcelona celebrates its present and past innovative genius. Antoni Gaudí and Pablo Picasso, have each called Barcelona home. Those who wish to experience the beauty, creativity and vibrancy of Barcelona choose the five-star Fairmont Rey Juan Carlos I. This modern hotel, with luxurious amenities and a distinctive "V" shape, was built in 1992 for the Summer Olympics. The city's only urban resort hotel is located in the tranquil beauty of the 19th-century Torre Melina gardens, just moments from the city center via Avenida Diagonal. While you may be tempted to remain at the Rey Juan Carlos I sipping a hand-crafted cocktail in the 16-story modern atrium or unwinding in the Royal Club Fitness and Spa, Barcelona and the Catalonian countryside beckon. Barcelona is home to more than 60 museums, each offering something different to whet your artistic appetite. 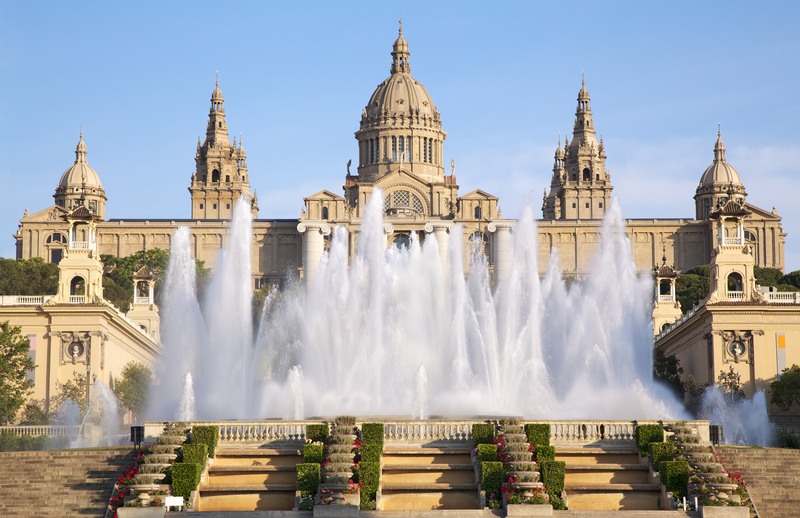 Experience Barcelona's rich heritage at Museu Nacional d'Art de Catalunya. Built on a hillside in the Montjuïc district for the International Exposition of 1929, the museum celebrates Catalonian culture, art and history. While you're there, head up to the Rooftop Viewpoint for breathtaking city views. Pablo Picasso was born in Barcelona and donated more than 4,000 of his artistic creations to the city before his death. Today, you can view them at Museu Picasso. Housed in two medieval palaces, the museum provides a glimpse into the artist's formative years. Ask the concierge to arrange a private tour. Always on the forefront of architectural innovation, Barcelona opened a design museum, Museu del Disseny de Barcelona, in 2008. The unusual building, with below- and above-ground levels, creates a modern home for a collection of more than 70,000 decorative arts and design pieces. 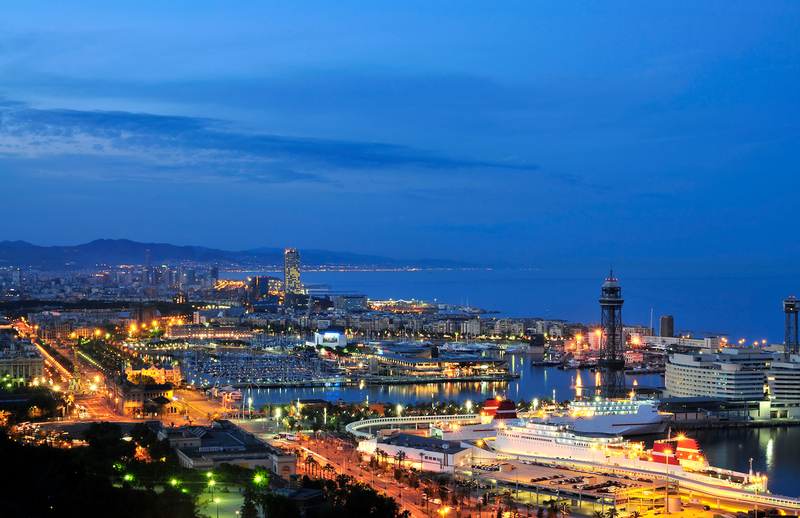 Fairmont's concierge can organize a guided tour to explore Barcelona's architectural history. La Rambla is a winding, tree-lined pedestrian mall. It stretches almost a mile inland from the Mirador de Colom statue (the 60-meter monument to Christopher Columbus) at the cruise port, and follows the old medieval wall. Stroll along the street, stop for coffee at a sidewalk café, enjoy the antics of street artists and human statues, or browse the markets for trinkets and flowers. A key element of Barcelona's culture is its love affair with futbol. The city is home to the FC Barcelona soccer team. The concierge can book a VIP experience at Camp Nou, FC Barcelona's home stadium. Walk out onto the pitch, visit the locker rooms and tour behind-the-scenes areas with a guide. After sipping a glass of Spanish cava, explore the FC Barcelona Museum, which celebrates the history of soccer. A trip to Barcelona isn't complete without exploring Antoni Gaudí's influence on Catalonian culture. Gaudí, the famed architect, helped create many of Barcelona's most renowned sights, most notably the multi-spired Basilica de la Sagrada Familia. 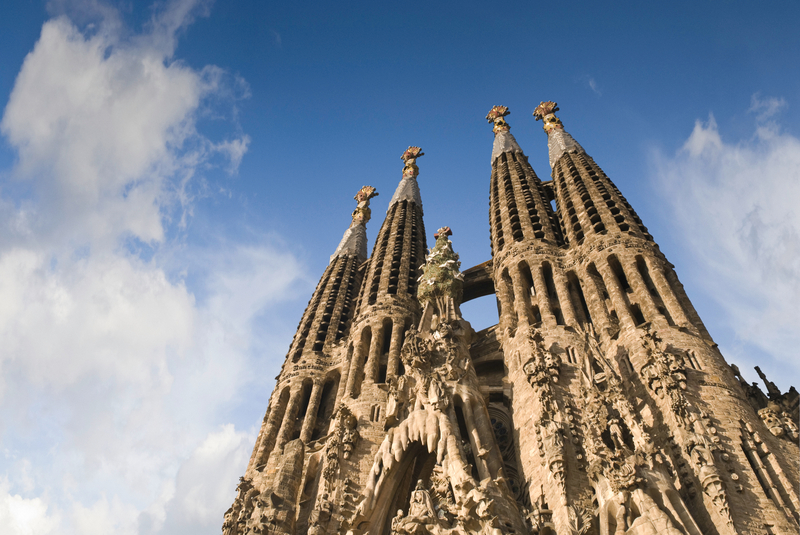 With its highest spires reaching 560 feet in the air, Sagrada Familia is the world's tallest church. Gaudí began work on the structure in 1883 and continued working on it until his death in 1926. Work continues on Sagrada Familia even today, with completion expected in 2026. While Sagrada Familia might be the best-known work by Gaudi, the city is filled with other examples of his genius. 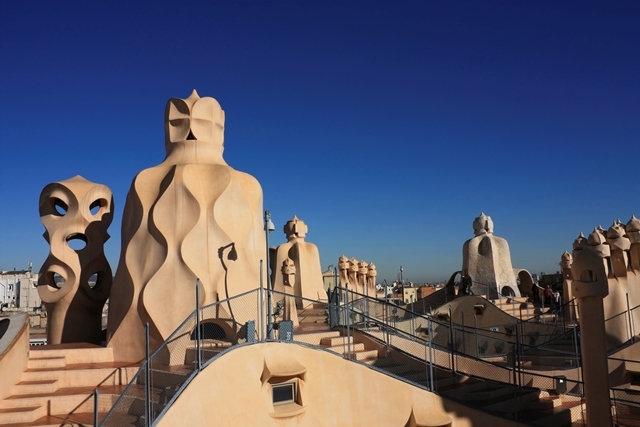 Ask the concierge to arrange a visit to La Pedrera, or Casa Milà. Gaudi completed the building, now a UNESCO World Heritage site, in 1912. Visit by day to explore the two museums, and return at night to see the spectacular light show that blends Gaudí's vision with a tale of the origins of mankind. Torre Bellesguard is often considered one of Gaudí's most impressive works. Inspired by the medieval castle of Martin I, the last king of the Catalan dynasty who lived on the grounds until his death in 1410, Gaudí created a castle blending Art Nouveau and Gothic styles. The original medieval ruins were also restored and are on site. Torre Bellesguard is an excellent representation of Gaudí's work, complete with curved or catenary arches and decorative, broken mosaic tiling called trencadís. Barcelona is the ideal starting point for exploring the Catalonian countryside. 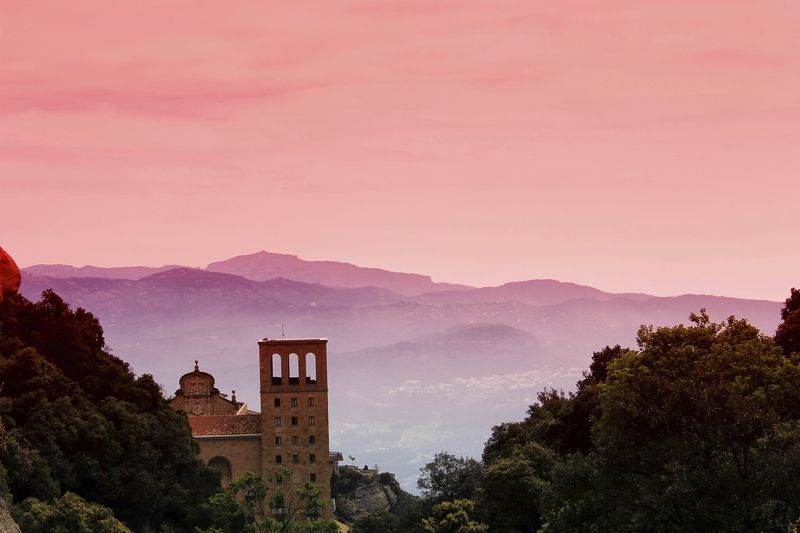 Plan a visit to Santa Maria de Montserrat, a Benedictine abbey dating back to 888 A.D., about an hour outside the city. The concierge can arrange an afternoon visit for you. There, you can ride a cable car or funicular to the top of the mountain, take a guided tour of the grounds, visit the museum and sample the typical liquors the Benedictine monks might have tasted. An unforgettable treat is to hear the Boys' Choir, performing each weekday at exactly 1 p.m. Among the most celebrated of Spain's wines are the sparkling varietals, or cava. The Penedès region of Catalonia, located about 45 minutes from the Fairmont Rey Juan Carlos I, is home to most of the country's cava houses. Ask the concierge to arrange a bespoke experience at Cavas Freixenet or Codorniu. Explore underground caves with winemakers, sipping cava as they guide you through the production process. Ready to craft your personal visit to the capital of Catalonia? Contact bcn.reservas@fairmont.com to begin creating your unparalleled visit to Barcelona and Fairmont Rey Juan Carlos I.